In the 9th round of Kings Tournament in Bucharest, the leader Fabiano Caruana unexpectedly lost with the white pieces to Wang Hao. Caruana got a huge advantage versus the Petroff and then started losing only to miss out a draw in time trouble. Here are all the spills, chills, and thrills of the game including Wang Hao’s brave King march! Replay the game with Chess King. Former World Chess Champion Vladimir Kramnik of Russia did pull out an extra pawn early enough, but the Chinese could have held on for a draw. 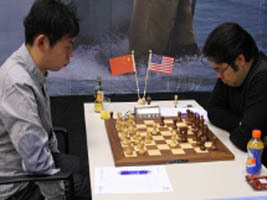 However, Wang Hao blundered on move 25 and resigned. 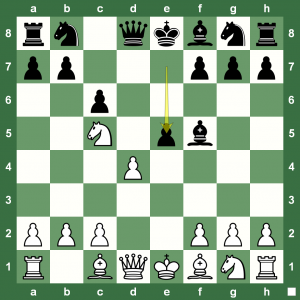 Replay the game with Chess King and read a report on the round at Chess Blog. Norway Chess Super Tournament 2013 Round 3: Sergey Karjakin has been in great form at the tournament. The sharp Sicilian Rauzer with White’s slightly better position and a host of tactics helped the Russian Grandmaster win another full point to keep a perfect score. Read a report on the round at Chess Blog. 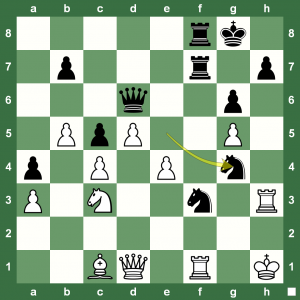 Norway Chess Super Tournament 2013 Round 2: Wang Hao used his space advantage and home preparation well to cash in on Black’s plans. The endgame with Rook, Knight and four pawns versus Rook, Bishop and three pawns was too tough for Svidler to defend. Eventually, the Chinese Grandmaster took home the point. Read a report on the Round at Chess Blog. 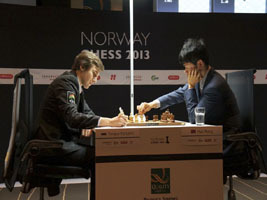 Norway Chess Super Tournament 2013 Round 1: An inspired Hikaru Nakamura went for a Kingside attack after castling long. 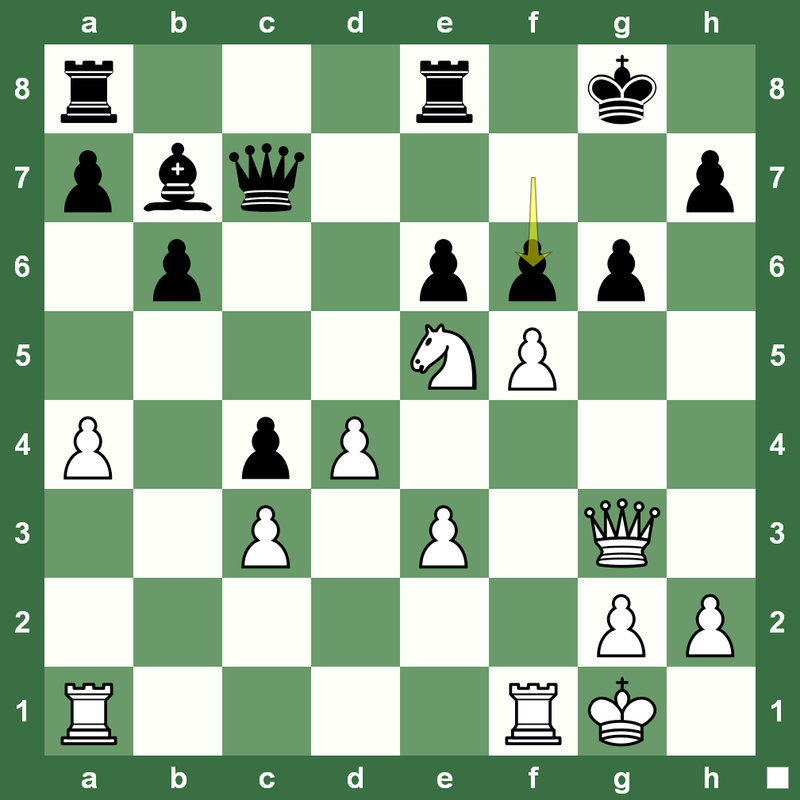 Black managed fine, but White made the most of Black inaccuracies of 15…Re4 and 16… Re6. Having weakened his kingside with h6, Wang felt forced to exchange queens at the cost of a pawn. Sacrificing two minor pieces for a rook later could not help. A computer could have drawn, but a human in time trouble lost. Read a full report on the round at Chess Blog. Round 11 at the 75th Tata Steel Chess 2013: Magnus Carlsen was put to the test by Wang Hao who managed to reach a better endgame in a Sicilian Rossolimo. Just when the squeeze seemed to be on, the Chinese Grandmaster traded his active knight for the passive black bishop, missing a clever defence that allowed Carlsen to completely equalize in the ensuing rook endgame. Replay the game with Chess King, watch the post-game video comments, and read a report on Chess Blog. Round 10 at the 75th Tata Steel Chess 2013 witnessed Levon Aronian going for his fourth straight win against Wang Hao – the latter losing the thread of the game pretty early on. 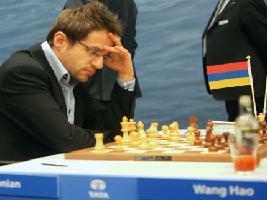 A kingside attack was in the offing, but Aronian was able to wrap off the game easily after picking up a few pawns. Replay the game with Chess King, watch the post-game video comment and read a full report on Round 10 at Chess Blog. 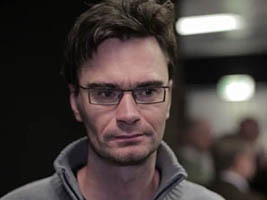 Round 6 at the 75th Tata Steel Chess 2013 saw Loek van Wely beat Wang Hao comfortably as the latter got lost after a pawn sac and could not hold up against Wely’s queenside pawn majority. Watch the post-game video and replay the game with Chess King. You can read a report on Chess Blog about the sixth round at the super chess tournament. 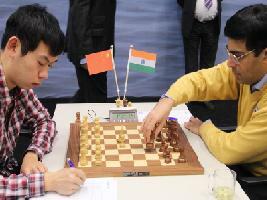 The Erwin L’Ami – Wang Hao game was one of the most spectacular ones of the tournament so far at the 75th edition of the Tata Steel Chess 2013. It included Queenside majority, piece sacrifice and a rolling pawn plus lots of fun. Here is the game with Chess King. You can read a report on Round 5 at Chess Blog. 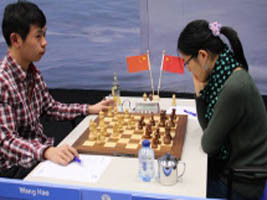 Wang Hao was one of the five players who scored a win during the 4th round of the 75th Tata Steel Chess 2013. At the losing end was former Women’s World Chess Champion Hou Yifan. Wang Hao went for the classical Nimzo line that fetched him a solid structure that made the best of his powerful Bishop against a bad Knight. Hou Yifan tried, but eventually blundered in a very difficult position. Check out the post-game video and game with Chess King. 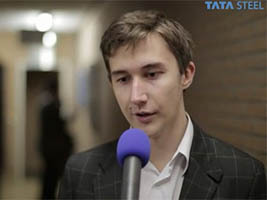 GM Sergey Karjakin went into sole lead with 2.5 points after beating Wang Hao in the third round of the 75th Tata Steel Chess 2013 in Wijk aan Zee on Monday. The Chinese grandmaster equalized comfortably on the Black side of a Petroff Defence, and could even claim a small advantage after some 20 moves. 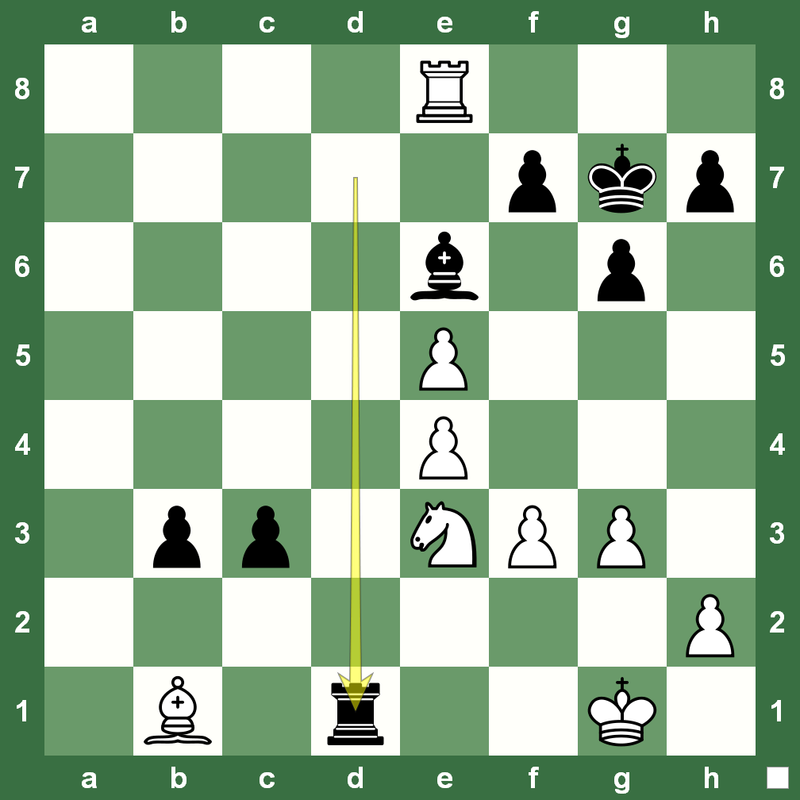 However, with the strong (see diagram) 27.g4! White turned the tide and after some haphazard play by his opponent in the ensuing rook endgame Karjakin collected the full point. 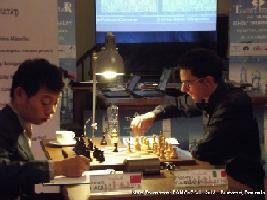 A full report on Round 3 of the 75th Tata Steel Chess 2013 is up at Chess Blog. Here’s an interesting new move by Wang Hao against the Caro Kann by Shakhriyar Mamedyarov at the London Chess Grand Prix Round 10. (Report on Chess Blog.) The game ended in a draw, but is a must-watch for all practitioners of Caro Kann if not everyone. Shakhriyar decided to play the Caro Kann Defence, his opening of choice for this tournament. Wang Hao prepared a surprise for his opponent, 5.Nc5, trying to defuse any preparation. 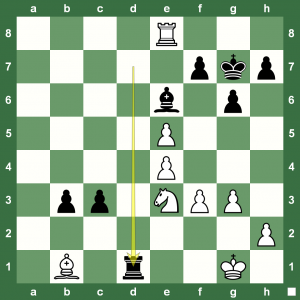 “Shak” paused for thought, and then replied 5….e5!? which caught Wang Hao unprepared, as he had not expected Mamedyarov to know this variation deeply. The forced line that followed saw a quick exchange of queens which led to the endgame with a slightly better pawn structure for white. 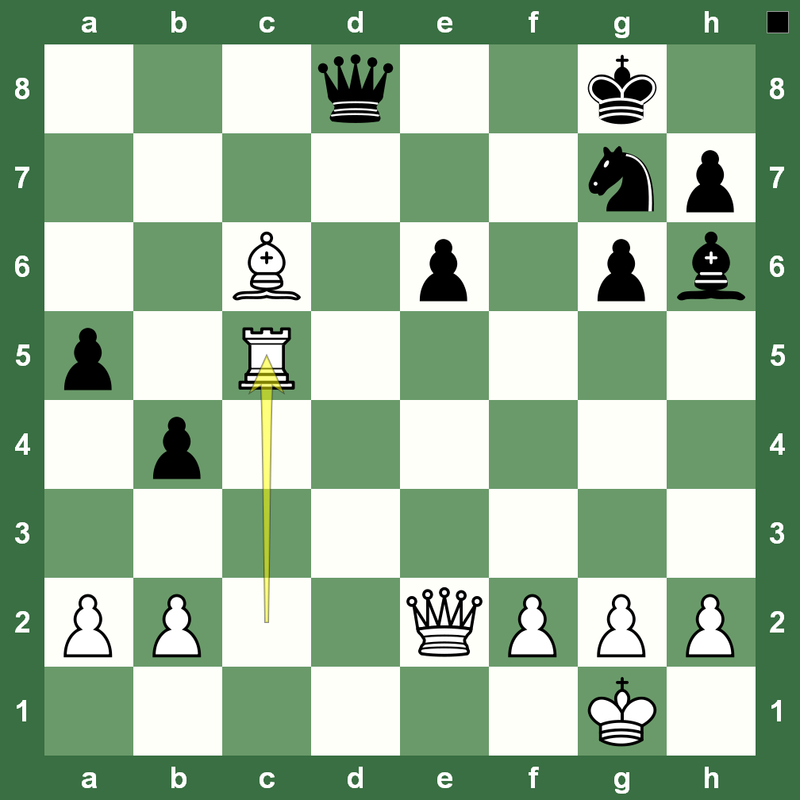 The position is from the sixth round at the London Chess Grand Prix. 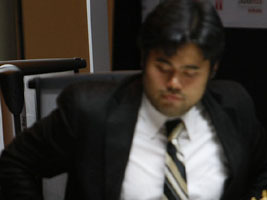 Hikaru Nakamura, playing White is already on the defensive against Wang Hao, and then he makes a blunder by 45.Nxa4. 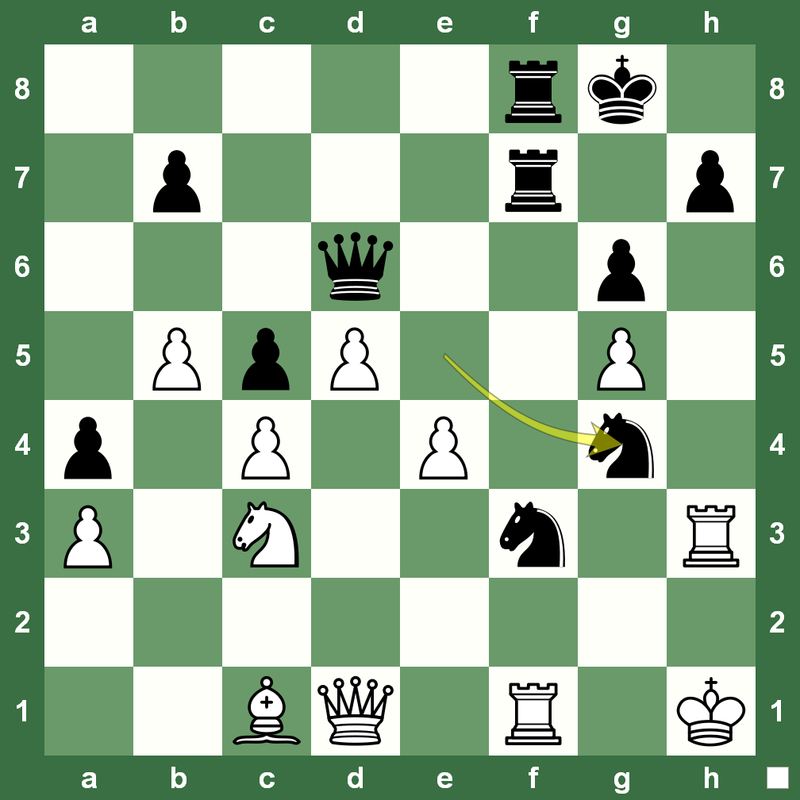 Can you figure out the winning combination for Black from this position? The position is from Boris Gelfand-Wang Hao during the fourth round at the London Chess Grand Prix (Report on Chess Blog.) Black has just played 55. …Kh7. Do you know why that is a blunder? This win gives Boris Gelfand sole lead at the London Chess Grand Prix after four rounds. 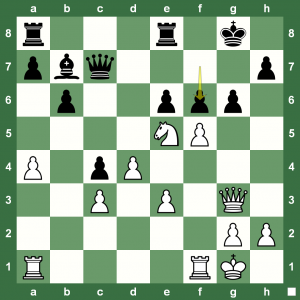 London Chess Grand Prix: What’s Grischuk’s Winning Combination? What is Black's winning continuation? The London Chess Grand Prix third round (Report on Chess Blog) saw Alexander Grischuk allow Wang Hao to escape with a draw. Grischuk surprised his opponent by playing the Gruenfeld. In the position on the left, Wang Hao has just played 27.h4. Grischuk replies with 27….Qb5-c5. Don’t forget there is time trouble. But, can you spot the winning combination that Grischuk could have played instead of moving the Queen? 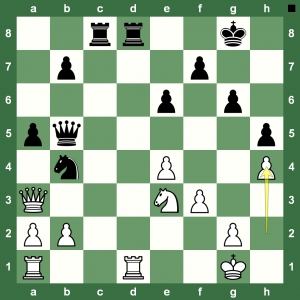 Istanbul Chess Olympiad Round 10: Why Wang Hao Resigned Against Vassily Ivanchuk? Black has just played 21. ...f6 How should White win this? The 40th Chess Olympiad in Istanbul went right down to the wire. In the overall results, Ukraine’s victory over China in the last round was crucial. 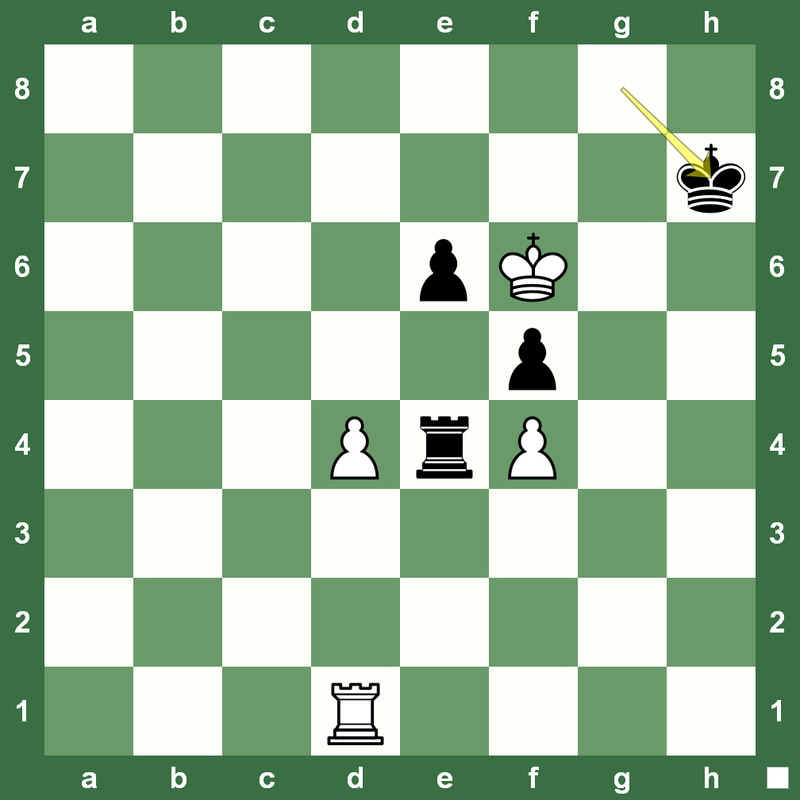 Here is the Vassily Ivanchuk-Wang Hao 1-0 chess game from the top board. Read the full report on Armenia and Russia winning the Chess Olympiad in the men and women’s section at Chess Blog. In the position on the left, Black has just played the blunder 21. …f6. 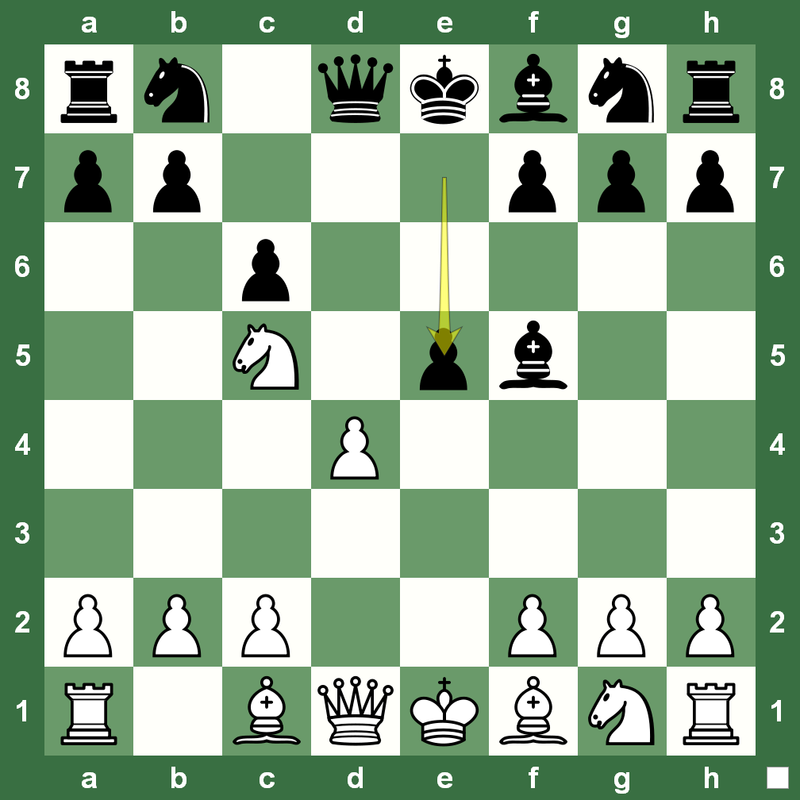 How should White win this from here? Does White really need to save that Knight? 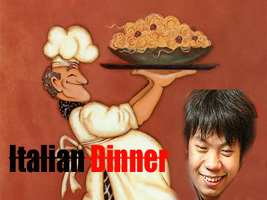 Chinese #1 Wang Hao decided to have an Italian dinner at the Istanbul Chess Olympiad 2012 in the second round. He first elbowed out the Italian prodigy Fabiano Caruana on the a-file then cooked up a winning endgame with a piece up. Caruana fought valiantly till the end, but it just wasn’t his day. Check it out. 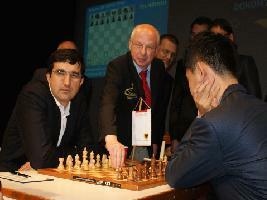 For the report of the second round at the Istanbul Chess Olympiad 2012, read Chess Blog. 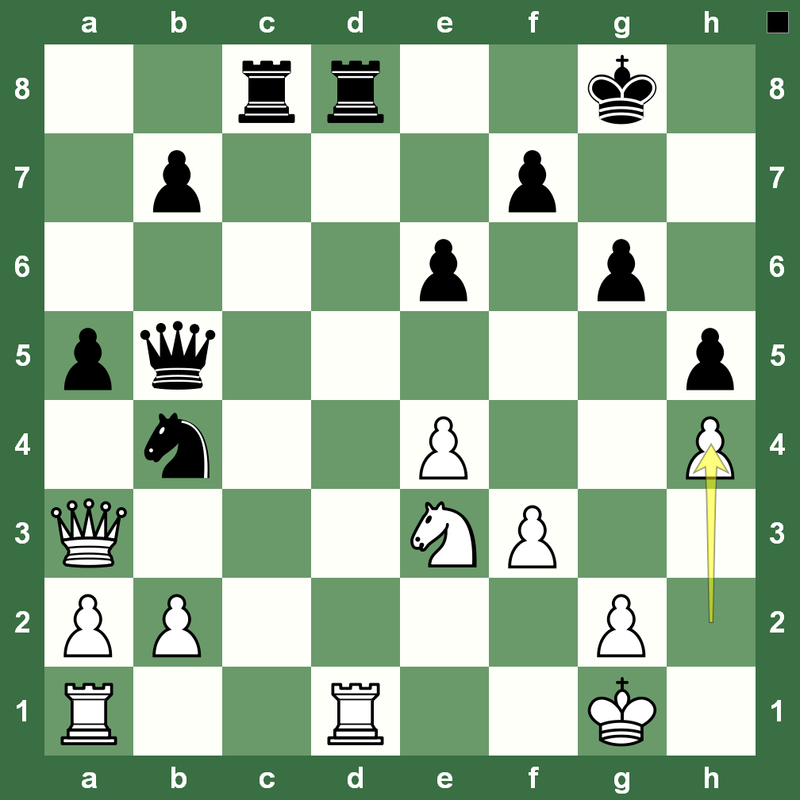 Wang Hao-Anish Giri Biel R10 final position. Can you win this? Wang Hao has beaten Anish Giri in the last round to win the 45th Biel Chess Festival ahead of defending champion Magnus Carlsen. 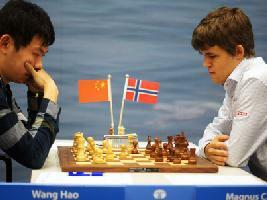 Luck favored Hao as Carlsen failed to beat Etienne Bacrot in the last round and had to settle for a draw. Hikaru Nakamura beat Viktor Bologan to catch Giri in 3rd-4th. 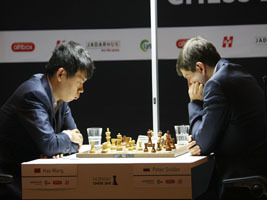 The 2012 Biel Chess Festival took place from July 23 to August 2 with six players in the Masters Group. Read the final report at Chess Blog.